Bournemouth have signed Diego Rico from Leganes, subject to the defender receiving international clearance, the English Premier League club said Tuesday. The 25-year-old Spaniard has joined the south coast side on a four-year contract for an undisclosed fee. “I’m very happy to be here and would like to thank everyone at AFC Bournemouth for making me feel so welcome,” Rico said in a club statement. In Eddie Howe the Cherries have one of the most highly-regarded young managers in the English game and Rico said: “I’ve heard so much about the manager. “I learnt he is very professional and has a great philosophy on football and I can see that is true from the short time I have met him so far. 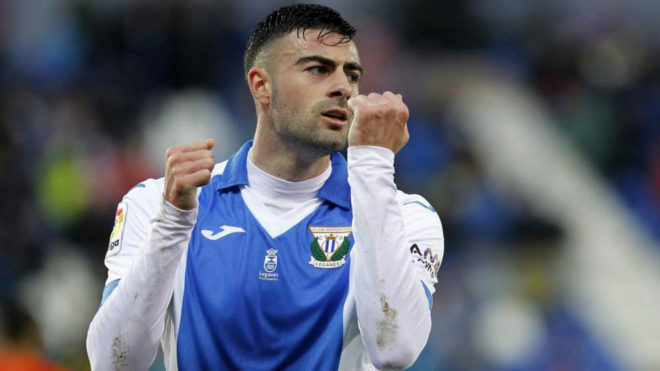 Rico scored four goals in 58 appearances during two seasons with Leganes, helping them avoid relegation from La Liga with successive 17th-place finishes. He has now become Howe’s second pre-season signing following the arrival of Wales midfielder David Brooks from Sheffield United earlier this month. “Diego is a player we have been tracking throughout the summer, and although we had to be patient, it’s great to finally be able to call him an AFC Bournemouth player,” said Howe. Bournemouth, who have just returned from a pre-season training camp in Spain, begin their Premier League campaign at home to newly-promoted Cardiff City on August 11.